Nature's Accent Taxidermy is ready to assist you with all of your Wildlife Art and Taxidermy needs. From lifesize mammals and gameheads, to fish and exotics, you can be assured that you will get the highest quality mount for your trophy. We guarantee that you’ll enjoy your trophy for a lifetime! How do I clean my mount? How often should my mount be cleaned? Do you offer taxidermy cleaning & maintenance? Do you use standard factory forms for mounts? What if your forms don't fit my animal, or I don't like the pose? What animal types can you taxidermy? Can I bring a skin of any animal to you from anywhere in the world? What about rare species you have never worked on before? How do I properly skin or cape my trophy? Will you cape my animal for me? How do I get my animal head & hide to you? How soon will my trophy be finished? Animal mounts such as deer or elk, can be cleaned by spraying with a light mist of Mount Medix brand Mount Cleaner & Protector over the fur and and gently wiping dry with a paper towel. More information on cleaning & care can be found on our Taxidermy Mount Care page. We recomend cleaning your mounts every six months. Do you offer taxidermy cleaning and maintenance? Yes. We can come to your home or office, or you are welcome to bring the mount to our facility for a professional cleaning and any maintenance that may need done. We do at times use factory forms in the process of shaping your mounts. However, we generally modify them heavily in order to create more realistic and live looking poses. This is where our experience and expertise comes into play. We start with a form that closely resembles the size and pose required to match your specific needs. From there, we will cut the form apart and alter the size until it fits your animal. We will then alter the body, leg, and head poses and build it into the animal of your dreams. All the work we do is custom, therefore we almost never put a skin on a factory form. This is included in the price up front. We are a full service taxidermy studio capable of producing quality mounts of any species of animal from a squirrel to an elephant. We also mount birds and do fish reproductions. We do our best to provide you, the customer, with a pleasant experience by being loyal and serving you honestly and fairly. So I can bring a skin of any animal to you from anywhere in the world? That’s exactly right, AND, we will turn it into an amazing piece of wildlife art. That is what we do. No matter the species, we use pictures of each species as a reference. Every time we work on a new species, we closely study many photos of that animal until we are familiar with it. We then carefully proceed with making your mount look like the live animal in the picture. How do I properly skin or cape my trophy after the kill? Most professional outfiters will handle this for you as a part of the hunt. In the event that is not available, or if you are a do-it-yourself kind of person, we have a page with videos and examples of how to cape a bull elk. This will provide you with useful information to get you started. When in doubt, give us a call first, so we can walk you through the steps needed to properly preserve the head and hides. 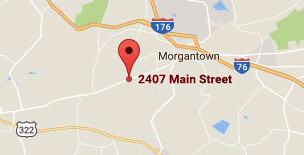 Feel free to give us a call at 717-283-5616 with any questions you may have. Definitely. You can drop the animal off at our facility and we will gladly handle this for you. In fact, unless you are a professional, we prefer that you let us do the caping to ensure the best possible preservation of the hide. Just be sure to keep the animal cold if you won't be able to drop it off within a few days of the kill. We can accept local drop offs, or receive your trophy heads and hides via commercial shipping. See our shipping page for more information. Our turn around time is one of the best in the business. You won’t wait more than six months for your trophy to be completed. That’s right, your trophy will be ready to take home and enjoy within six months of the time you drop it off at our facility! We believe there as no reason to keep your trophy for more than six months. You have worked hard and likely have done a lot of scouting and research for a long time. You want your trophy at home to enjoy, not languishing at a taxidermist for two years. Yes! We are so confident that you will be absolutely amazed by our work that we guarantee it will be free of workmanship defects for as long as you live. Please note, this does not include defects cause by improper storage or care after it has left our control.